Bagend is just as Bilbo would have expected. 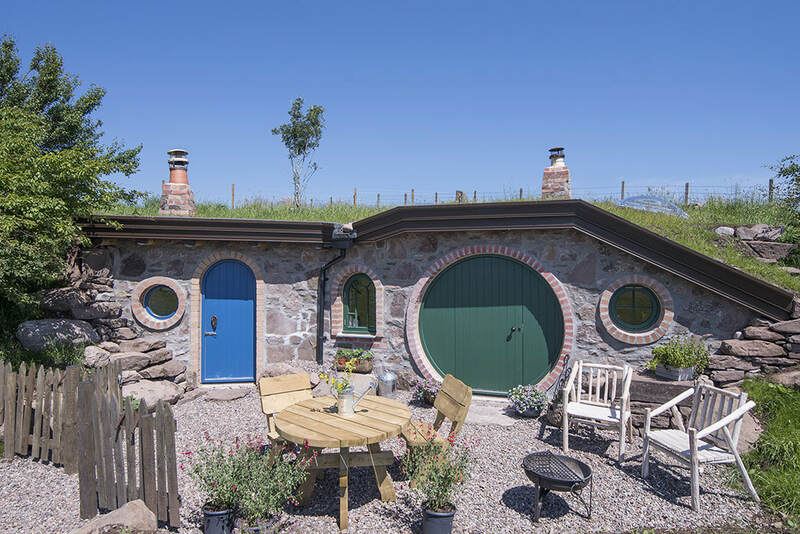 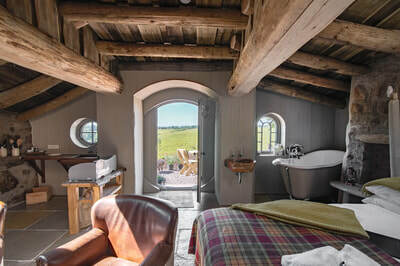 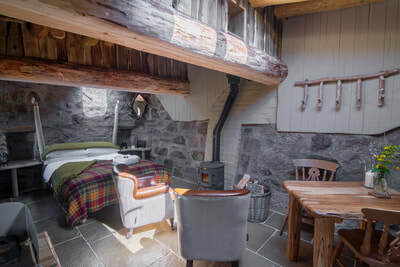 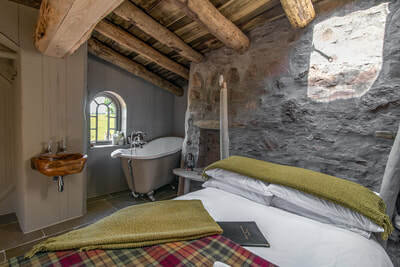 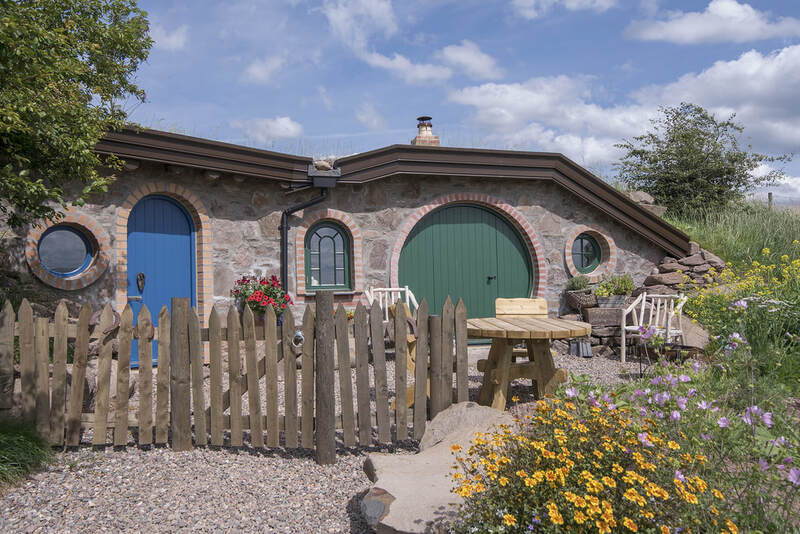 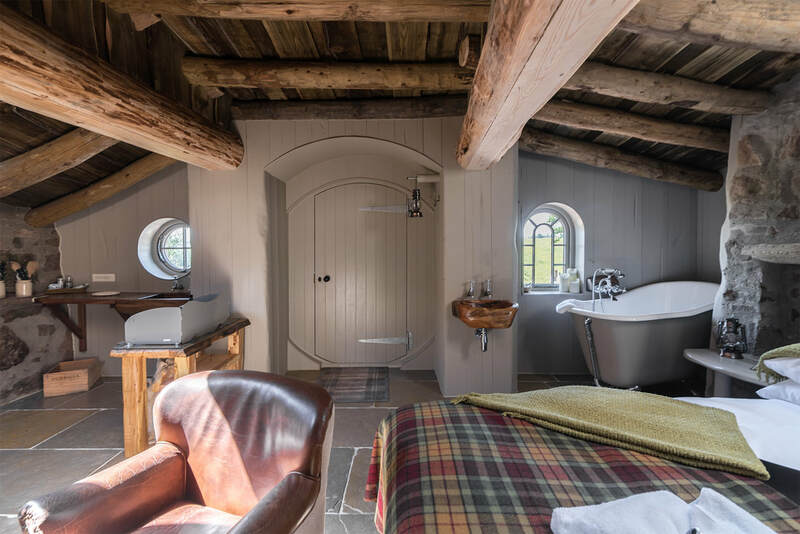 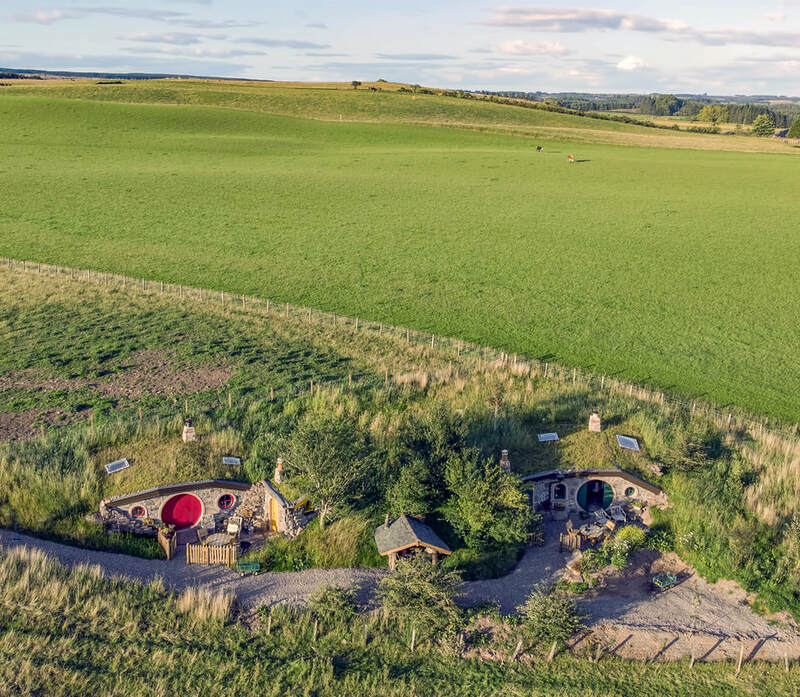 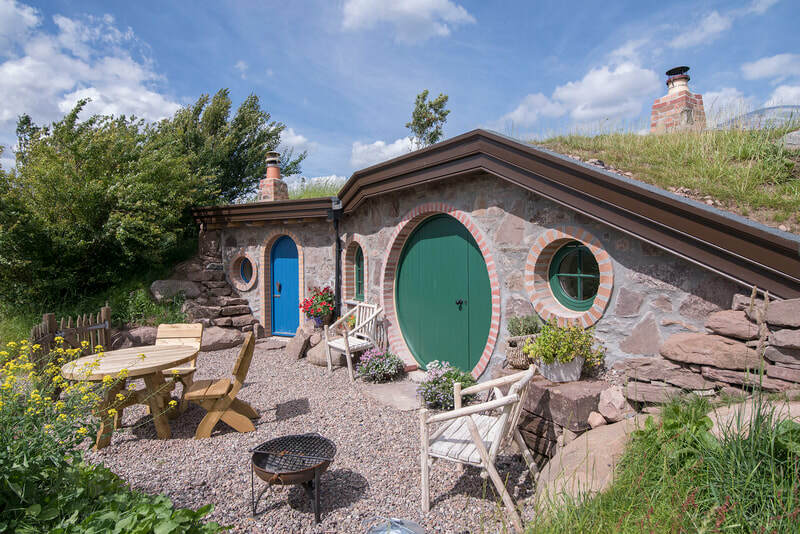 Built right in to the hillside and adorned with grassy roofs and round doors, a stay in Bagend Hobbit Howf will transport you to a magical world of Lord of the Rings where time stands still. 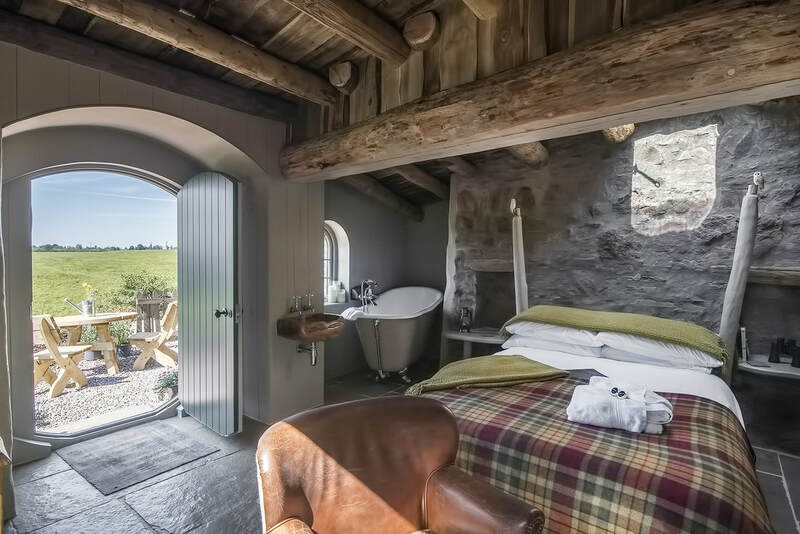 Surrounded by beautiful open views of rolling countryside with endless wildlife to watch. 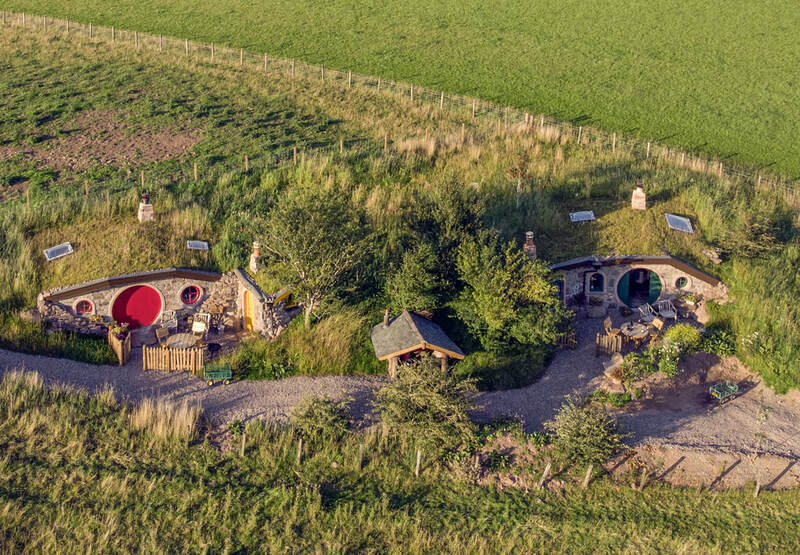 Please note: All dates shown in red are booked. Please also see our FAQ's for more information. 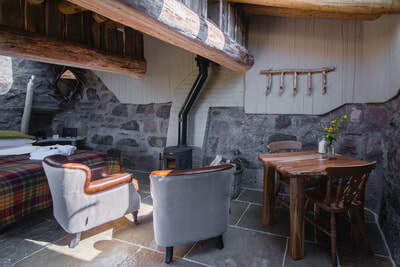 Please check our calendar above to see if your desired dates are available. 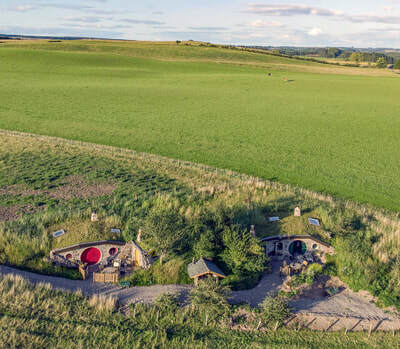 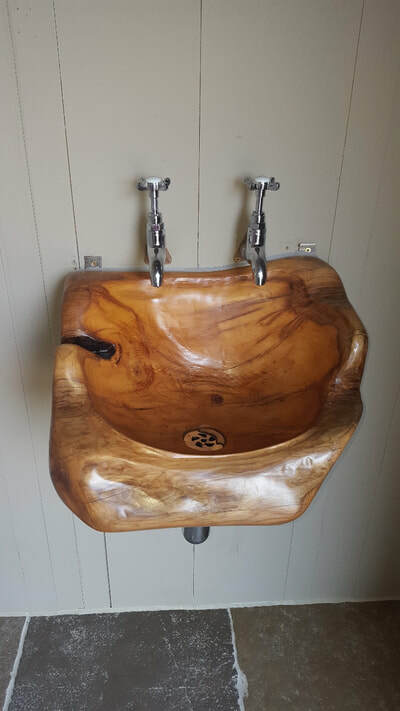 If it is not available you can check our other glamping options such as The Burrow, Tree Howf, Wee Howf or Summer Howf are available - they are just as secluded!